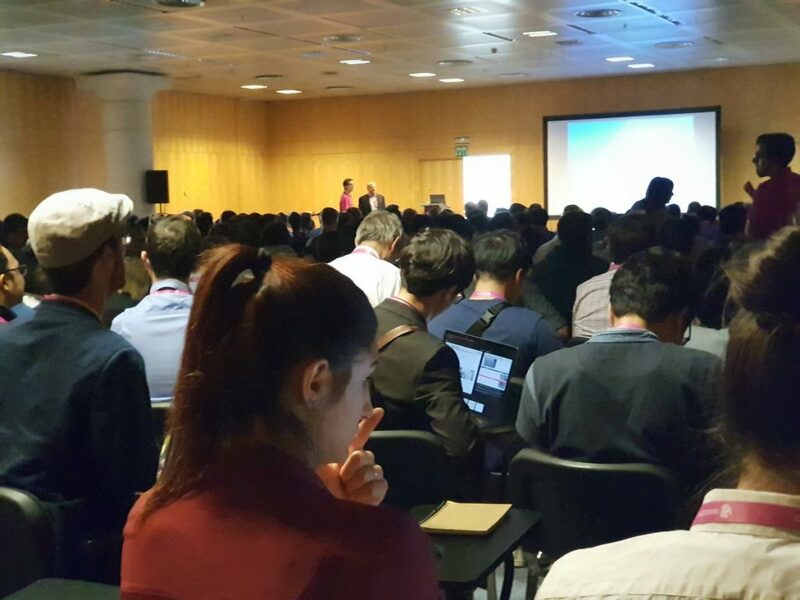 During the first week of October the IROS 2018 edition is being held at Madrid. 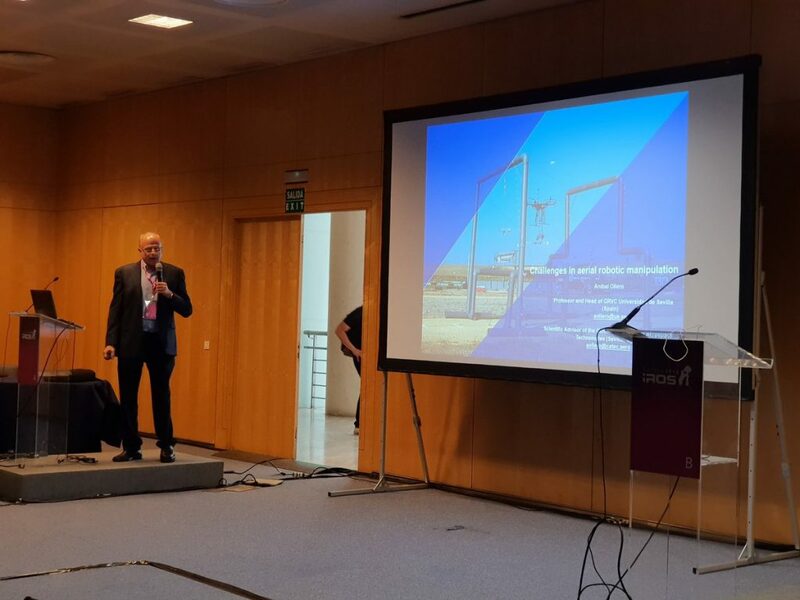 The head of the group Aníbal Ollero talked about the innovations in aerial robotics and automation on a keynote entitled “Challenge in Aerial Robotic Manipulation”. Aníbal Ollero presented as example the results of the AEROARMS project, which was sucessfully valued by the European Comission in the last month of September. This keynote aroused the interest of the participants and let them learn more about the future of aerial robotics and automation.